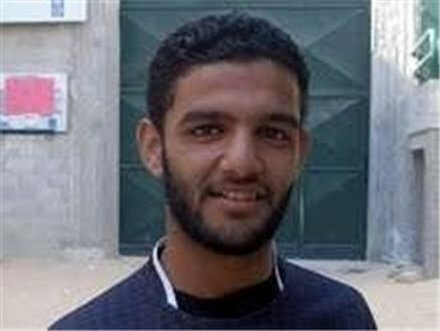 Mahmoud Sarsak was arrested on 22 July 2009 while travelling from Gaza to the West Bank for a Palestinian national team match. He was arbitrarily detained and has not faced charge or trial since, yet has been imprisoned by Israel for almost three years. 25 year old Mahmoud is one of over 4,400 Palestinian prisoners who face arbitrary detention in appalling conditions. He began his hunger strike in order to draw attention to the unlawfulness of Israeli policies. He is now close to death, making the ultimate sacrifice for the sake of justice for himself and fellow Palestinian prisoners. Mahmoud used to weigh 65kg and this has plummeted to 40kg. He is frequently in and out of consciousness and close to death. Independent doctors have not been allowed to assess him in the last week as Israeli authorities will not allow them to visit. BackgroundMahmoud began his hunger strike on 19th March 2012. Since then, he has been transferred to 3 different prisons, held in solitary confinement and is now in a prison hospital. Israel routinely arrests and arbitrarily detains Palestinian sportsmen. Where no charges are brought forward, it is presumed that Israeli actions are intended to disrupt Palestinian participation in sports. The Palestinian national football team appealed to UEFA in January 2011 for support, however, this has not been forthcoming. International law does not permit Israel to move Palestinian prisoners into Israel, yet this is what Israel does repeatedly. This breach amounts to war crimes under the Fourth Geneva Convention.